Metropolitan Hilarion of Volokolamsk, head of the Moscow Patriarchate department for external church relations (DECR), has expressed his condolences to the Mayor of Strasbourg Roland Ries upon the death of people at the hands of a criminal who opened fire at the traditional Christmas Market. According to the latest reports, three people died and thirteen people were wounded. 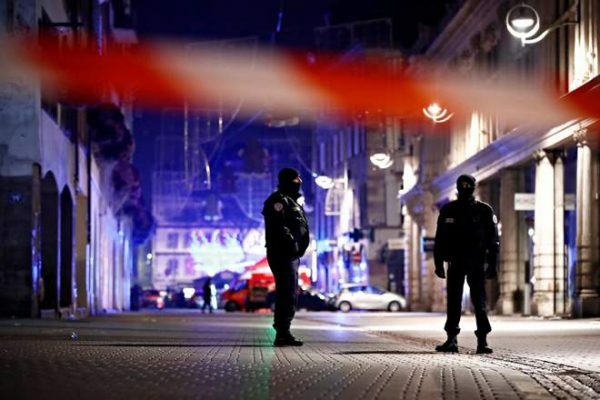 We in the Russian Orthodox Church have been disturbed by reports about shooting in the center of Strasbourg, where the traditional Christmas Market is being held. Many thousands of people come to it from all over the world. It is exactly in these days that an evil will has made an attempt on the health and life of peaceful citizens. We deeply grieve over those who were killed empathizing with their families and pray for an early recovery of the wounded. May the Lord God support the authorities in the struggle with horrible criminals and fortify the people of the city.